Reality TV star and clothing designer Lauren Conrad has purchased a home in Laguna Beach for $8.5 million, according to Redfin. The beachfront home spans 2,910 square feet on a large level lot with a front and backyard, according to the listing. The property includes three bedrooms and three bathrooms. It was constructed in 1937, and was newly renovated with a new kitchen, baths and surfaces throughout the home. The Laguna Beach home features ocean views from the majority of the house. 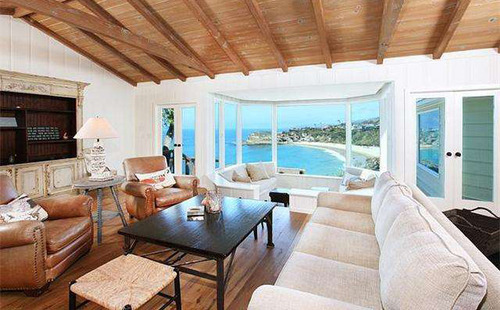 "The Hills" star listed another home, also in Laguna Beach, for $2.795 million in January. That home remains on the market, but with a $100,000 price drop to $2.695 million, Redfin reports.